Even if healthy eating isn't 'your thing', chances are you've heard of the popular 'an apple a day keeps the doctor away' adage. While that certainly holds true, the same can be said about this vilified yet ever-so-delicious curved-shaped fruit: Bananas. 1) Full of electrolytes including calcium, potassium and magnesium, eating a banana is a natural way to keep your blood pressure under control. They're also an ideal food to include in your post-workout meal as they will help replenish electrolytes lost in sweat and reduce the risk of muscle cramping. 2) Feeling low on energy or need to eat a snack before your workout? Chow down a banana. This pantry staple contains three natural sugars (sucrose, fructose and glucose) combined with fibre. As a result, a banana provides an instant, sustained and substantial boost of energy. It's no wonder that bananas have become favourite for some of the world's leading athletes. 3) Whether you're suffering from acid reflux, diarrhoea or constipation, bananas can help provide some digestive relief. Rich in pectin, bananas aid digestion and gently remove toxins and heavy metals from the body. Bananas also act as a prebiotic, stimulating the growth of friendly bacteria in the gut. They also provide digestive enzymes to assist in absorbing nutrients. 4) It's no coincidence that bananas are shaped as a smile. Containing a high amount of tryptophan which is converted by our body into the feel-good neurotransmitter serotonin, eating a banana regularly can help the brain feel better and fight depression. 5) If you're afraid that bananas will make you fat, consider this: they are as portable as a granola bar for on-the-go snacking and already come pre-packaged with various micronutrients including 3g of fibre per banana. Along with keeping your appetite under control, the fruit's naturally sweet flavour will help curb sugar cravings. Clearly bananas need an adage of their own! 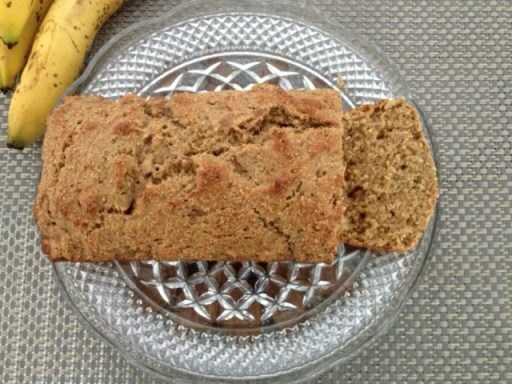 Go show bananas some love by baking up a loaf of vegan and fat-free banana bread that is actually good for you. Get the recipe here.